Oneplus 3T one of the best smartphone released in the year 2016. Well, 2016 is not so old is it? 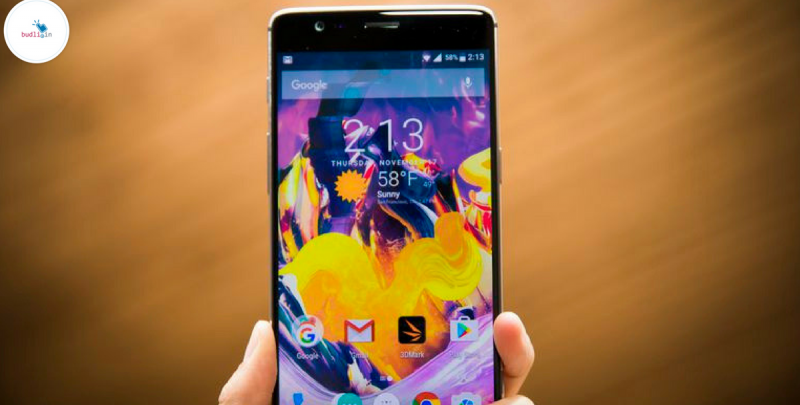 Even after the release of the latest device from Oneplus – the Oneplus 5, this flagship device is still managing to be sold across various markets in the world. Just like any other mobile brand in the world, Oneplus also cuts down the prices of its previous generation device after the release of the new one. The Oneplus 3T was originally priced at Rs 29,999 in India but now it is priced at Rs 27,999. That’s a straight Rs 2000 price drop for the Oneplus 3T. This device is sold via Amazon India only. So, if you are a Oneplus fan or if you love budget oriented flagship smartphone – then the Oneplus 3T is your pick. It is one of the best devices in the market today even after the release of the latest flagships from various brands. Why do people love the Oneplus 3T? That’s because of its ,impressive specifications and amazing performance. Here are the specification details of the Oneplus 3T, this device is powered by the Qualcomm Snapdragon 821 MSM8996 Pro (2.35 GHz) quad core processor and the Adreno 530 GPU for amazing graphic renders. It comes with 6GB of RAM and 64GB of storage, which cannot be expanded via MicroSD. Coming to connectivity the Oneplus 3T has dual nano-SIM dual-standby (4G+4G) and Bluetooth 4.2. Other important features of this device include the Fingerprint sensor, Hall sensor, Accelerometer, Gyroscope, Proximity sensor, Ambient light sensor, Electronic compass. The phone is power backed by a 3,400 mAh battery which supports Dash charging, with the help of Dash charge you can get a day’s battery with a charge of just 30mins. The camera on this device is very impressive – 16MP primary camera (f/2.0 Aperture, 1.12 µm Pixel size) with high speed autofocus technology (PDAF), updated Electronic (EIS) and Optical (OIS) stabilization technologies protected by a more durable sapphire glass with a 16 MP front camera (f/2.0 Aperture, 1.0 µm Pixel size) capable of capturing improved low-light selfies and videos. Not everyone can afford a flagship, can they? Reason? Its price! That does not mean that you should give up on your dream to own a flagship device. As there is a solution to every problem, we have the solution for this problem and that is refurbished smartphones. The people of India are taking a fast move in this segment. The trend of buying new smartphones is slowly going down and people are looking at refurbished smartphones as a better solution for their smartphone needs. Refurbished smartphones are just as good as the new ones, but used by someone else before. These devices are priced lower than the products actual market cost. This sounds like second hand phones? No! There is no guarantee on the working of second hand devices unlike refurbished products. They are tested and fixed (if any issues) by experts before they are sold again. The best part? They come with a warranty which is not found in second hand products. We budli.in are the leading marketplace for refurbished products in India. Check out our huge inventory of products and grab them before they are gone.